MultiBrief: Is Texas hog poison drama finally kaput? After a couple of stunning legal and legislative reversals threatened plans to permit poisoning hogs in Texas, Scimetrics — the company that manufactures the warfarin-based hog poison known commercially as Kaput — just announced that it has withdrawn its registration with the Texas Agriculture Department to sell Kaput in the state. Does this mean the end of the ongoing battle over controlling the exploding hog population in Texas with poison? Or is it a crafty tactic by the company to forestall an outright ban on the poison from the Texas legislature? Scimetrics has had a rough couple of weeks. The company took one on the chin when 345th District Judge Jan Soifer slapped a temporary injunction on the company that preventing use of the poison back in March. Then, the Texas House of Representatives approved House Bill 3451, which would prevent the use of any lethal pesticide for feral hog control until the state completed a field study assessing the agricultural and environmental impacts of the poison a couple of weeks later. After passing the House with overwhelming support, HB 3451 is currently pending approval in the Senate committee on Agriculture, Water, & Rural Affairs. If the bill passes with the same level of support in the Senate, it would take effect immediately and probably end any chance of a poison getting approved for feral hog control in the near future. Around the same time that the Texas House of Representatives voted on HB 3451, Louisiana Agriculture Commissioner Mike Strain suspended approval for the use of Kaput in that state as well. Strain initially supported using Kaput for controlling the hog population, but he changed his mind after seeing a video of a black bear easily gaining access to a hog bait station. The Louisiana black bear just came off the endangered species list in 2016, so Louisiana Fish and Wildlife officials are understandably cautious about anything that could impair the recovery of the bear population in the state. It is against this backdrop that the owners of Scimetrics made their decision to withdraw registration for use of Kaput in Texas for the time being. In their press release, the company stated: "Under the threat of many lawsuits, our family-owned company cannot at this time risk the disruption of our business and continue to compete with special interests in Texas that have larger resources to sustain a lengthy legal battle." Perhaps it really is that simple, and they are making a conscious decision to cut their losses in the face of a likely defeat. However, it's also possible that they made this announcement to defuse the fierce storm of public opinion that is currently raging against the hog poison. For instance, if opponents of the poison see this development as a complete victory, then they might not put as much effort into ensuring that the pending legislation that would ban the poison gets passed by the legislature. If this session of the legislature ends in May without HB 3451 becoming law, there is nothing preventing Scimetrics from reapplying with the Agriculture Commission again in the future, thus outflanking opponents of the poison. Nobody really knows what the future holds for Scimetrics and Kaput, but the fight over the warfarin-based hog poison is not over yet. Though it does not look like it will end up getting approval in Texas or Louisiana, that could quickly change during the next couple of months. 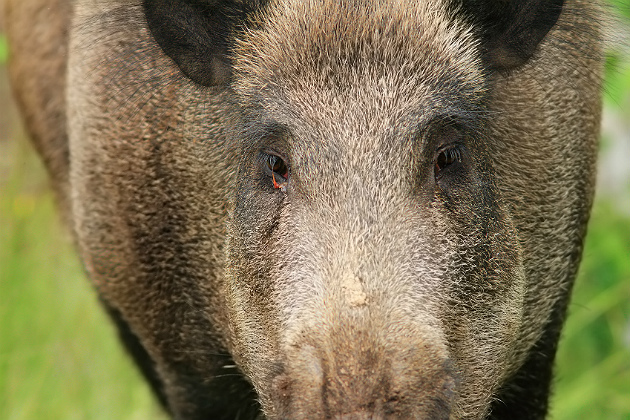 Stay tuned for more developments on the Kaput feral hog poison situation.